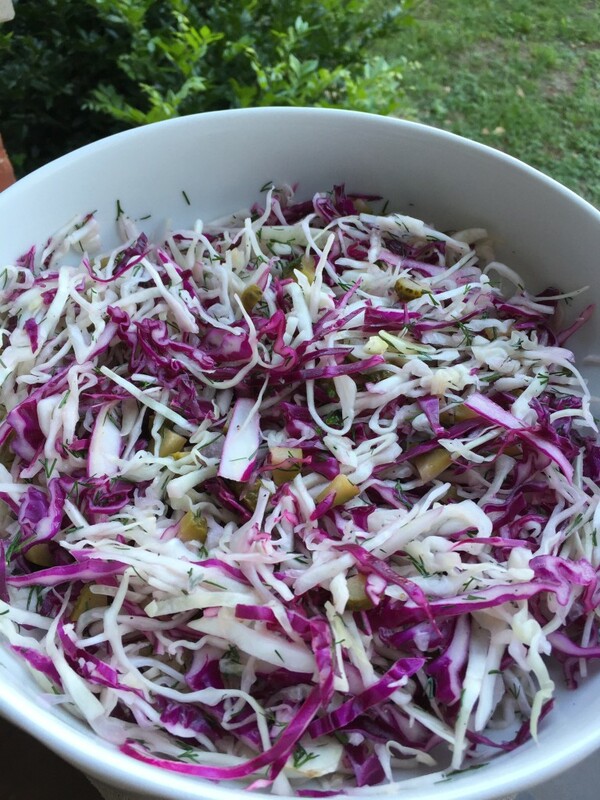 From a young age I have always enjoyed eating coleslaw, especially on a warm summer’s night when we had barbecues. However, coleslaw as you know it is full of mayonnaise, and not very good for you. This coleslaw is a fresh healthy take on the old classic, but still hits the spot. Using a food processor, mandolin or knife thinly slice the white and red cabbage. Prepare gherkins and dill and toss it all together. Add dressing ingredients to salad and mix well.